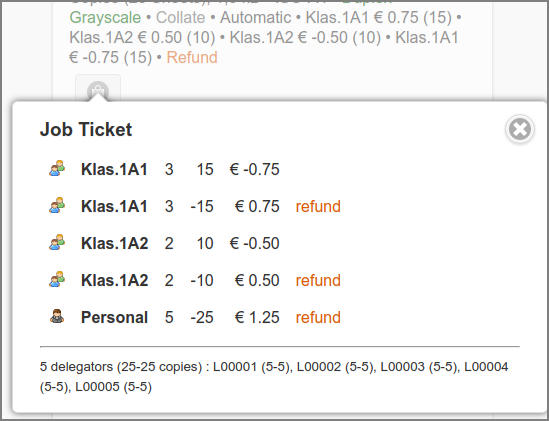 The Closed Ticket List is identical to the Documents List with an implicit selection of Type Ticket. 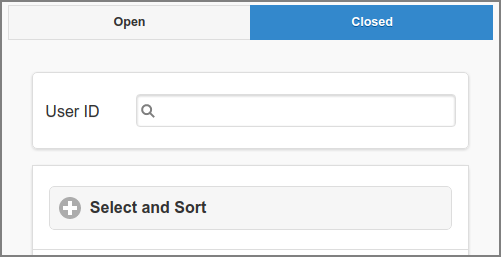 Here you can query Job Tickets that were closed by the Job Ticket Operator, optionally by User ID of the Job Ticket Creator. 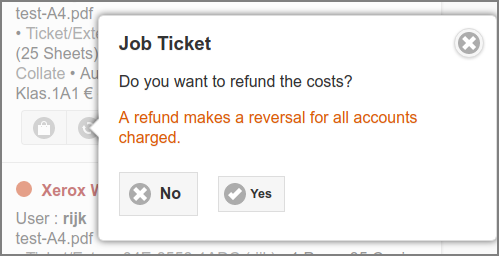 In case costs were incorrectly charged, they can be refunded by pressing the refund button. Refunds are shown in the document transaction details (see screenshot below), and in the transaction list of the Personal, Group and Shared Accounts involved. See Section 3.8.2, “Transactions” and Section 4.6.1, “Account List”. When both PaperCut Integration and Delegated Print with PaperCut are enabled, and the Job Ticket was printed to a PaperCut managed printer, refund transactions will also be created in PaperCut. See Section N.1.3, “PaperCut Delegated Print Accounting”.